Luca is the Head of Predictive Analytics & Design in Global Drug Development, and program lead of Nerve Live, a next generation advanced analytics platform exploiting machine learning and cutting edge data science, yet his passion for computational intelligence dates the early nineties when he bought his first AI book while visiting MIT. 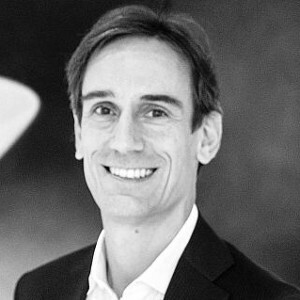 He held positions of increasing scope and complexity spanning Research, Development and Commercial, including, Head Operational Excellence PMO, Head of Marketing, Brand Maximization, Global Head of Strategy and Communications, Pharma Development, and Strategic Assistant to the Global Head of Development. Luca joined Novartis in Modeling & Simulation, where he was Head for the Neuroscience and Ophthalmics Franchises. Before Novartis Luca was at the world-renowned Salk Institute in La Jolla, California, were he was Research Fellow with Prof. Terry Sejnowski, a founding father of the field of machine learning and computational neuroscience. He obtained a MSc in Theoretical Physics, and a PhD combining Big Data, Analytics and Medicine to study the brain during sleep, both from the Swiss Federal Institute of Technology (ETH) in Zurich, Switzerland.